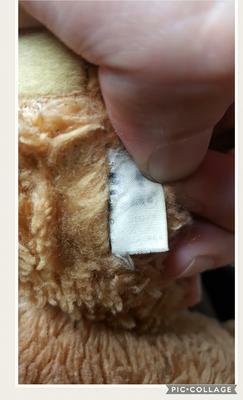 Hi there ive had my bear since i was 1 day old and its really the only thing i have from then i was wondering who it was made by as it has lasted so well, the tage is not very visible but i can make out what looks like R.J. and underneath r o then its faded and the word teddys. Its a good quality made bear with no stitching undone, it has glass eyes and a hard plastic nose, it has barely lost any colour at all so im really eager if i can find out just who made this and if they still make bears, would like to buy my children some if they still manufacture them and see if they can keep them for as long as ive had mine. I have searched the internet trying to find out who made him and if he looks like any others but i cant seem to find him so if you know i would be a very happy man. He also has full moving arms and legs when you twist them.